I am loving these amazing STEM kits from Tenergy as they provide my kids with educational playtime for hours and hours. 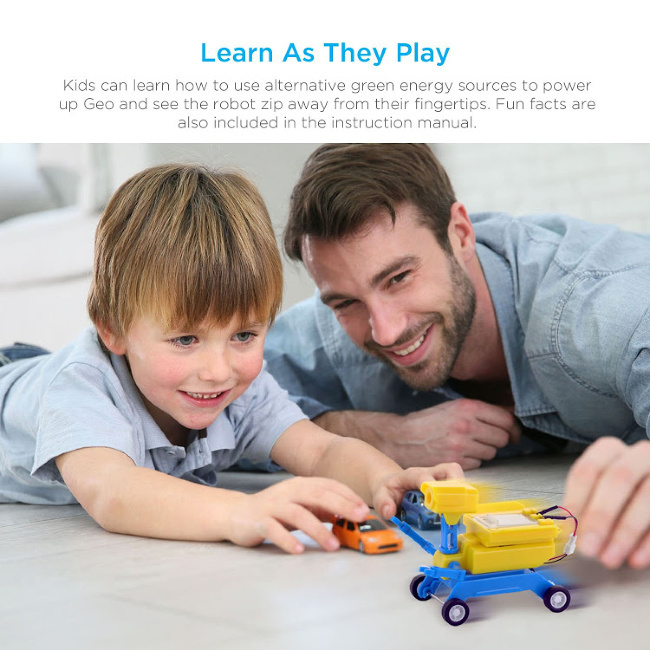 They are the perfect toys for my kids as they provide STEM (Science, Technology, Engineering, Math) Learning all within a cool toy that is perfect for boys and girls. 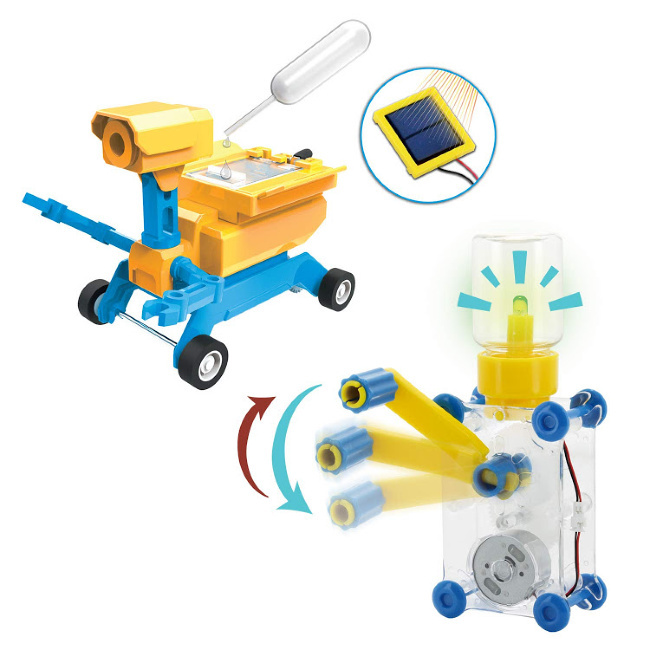 This bundle set from Tenergy includes the GEO Salt Water/Solar Powered Robot & the Dynamo Lantern. This set is available on Amazon and let me tell you… they are perfect for the kiddos as they provide fun and educational play. What is better than that? These DIY building toys allow kids to learn about solar energy, salt water energy and kinetic energy. Your kids will discover the fun of problem solving as well as feeling the pride of creating and constructing each toy on their own which is huge. 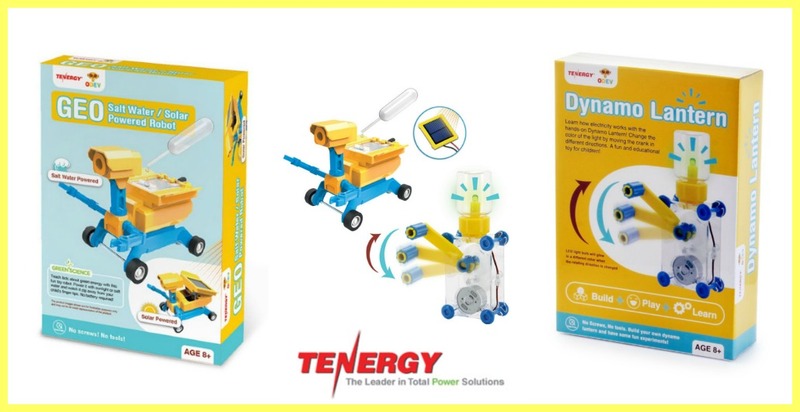 With this bundle set from Tenergy, your kids will be able to create a hand powered generator, a solar powered car or a salt water powered car. 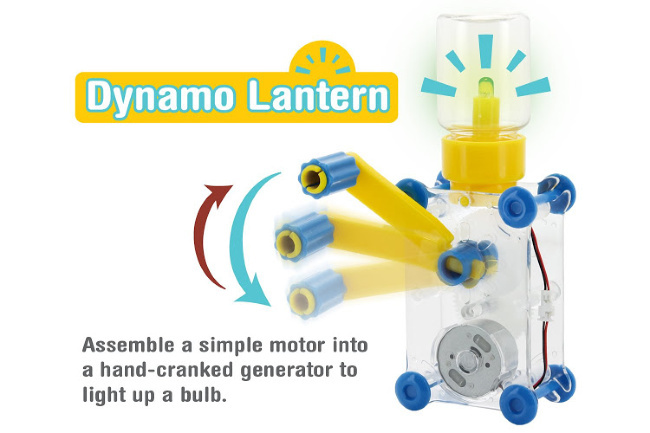 The Dynamo Lantern and GEO Robot Car are easy to build all while being educational assembly toys for he kids. 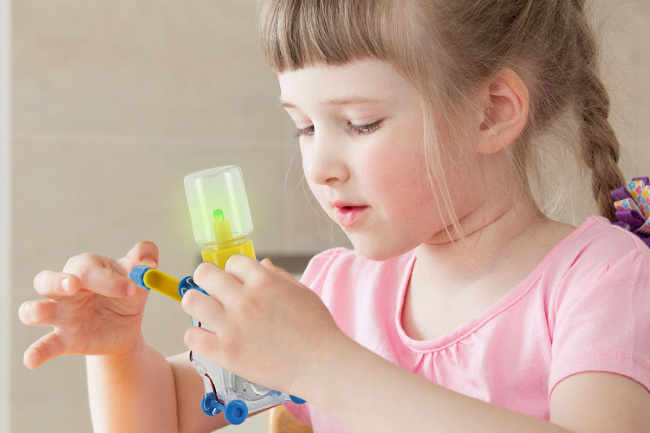 There is no need for any tools or screws and kids can easily build either toy within 10 to 15 minutes following the easy to follow instructions. This is a fun toy for both the parent and child to work on together as well which makes it a great bonding project as well. 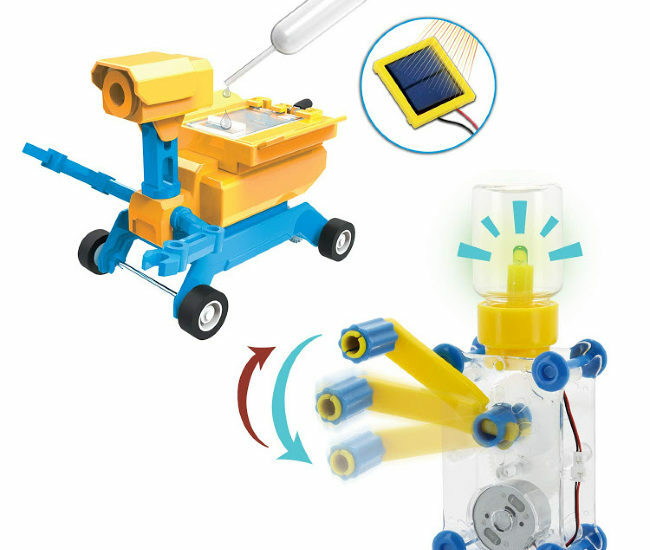 What I love most about these sets are that both STEM kits are powered by renewable energy sources like salt water, direct sunlight, or kinetic energy which is perfect as these toys will help to teach our kids, who are tomorrow’s leaders, about the importance of alternative sources of energy. I also love these sets as they provide more ways to build so that your kids can use them again and again and try new things. 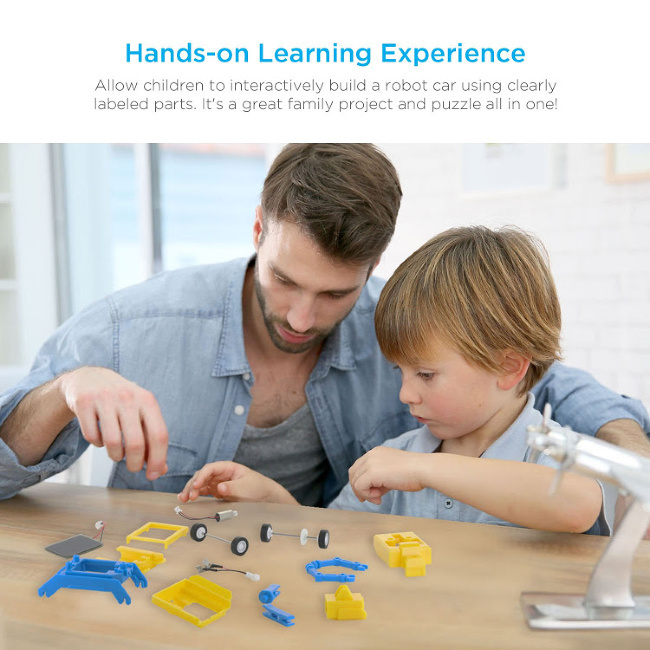 These sets teach our kids to discover the importance of experimentation as both STEM toys can be built in various ways and enable your child to learn while playing. They can change the color of the light bulb by cranking it in the opposite direction as well as exchange the metal plates with the charcoal to power the robot with different fuels. 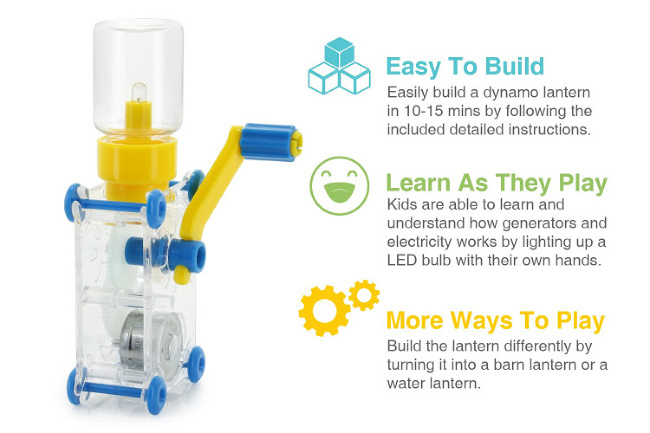 The GEO Salt Water/Solar Powered Robot & the Dynamo Lantern provide hours of safe play and they are the perfect and practical gift for children to enjoy and learn. I love gifting my kids with STEM sets as it gets them off of the technology and actually playing all while learning and they are non the wiser. These sets are popular among schools and with teachers as they provide interactive and hands-on learning experiences all while being safe to play and build. So what do you think of the Tenergy GEO Salt Water/Solar Powered Robot & the Dynamo Lantern? Do you know someone that will love this bundle set? They are a fabulous gift for anytime of the year or simply “just because”. Check them out for yourself and get your kids playing and learning all in one! My grandchildren all love stem toys, they get them for ever occasion. It is fun to watch the older children show the younger ones how to build or assemble them. These are cute kits.My grandaughter would love to do this and she could learn a lot about energy. This is great, I can see my Granddaughter working with my Grandson on creating some of these different variations of the Tenergy ODEV Dynamo and GEO Educational STEM Building Toys. I love toys that allow children to be creative. My Granddaughter goes to a STEM School and they really learn some neat things by making things and seeing how they work. This is a little project rolled into one box can show them a lot about Solar Energy.